Updated and remodeled large ranch home in Flintwood Hills. Live in the country but a quick drive to the city! Incredibly clean and well maintained. 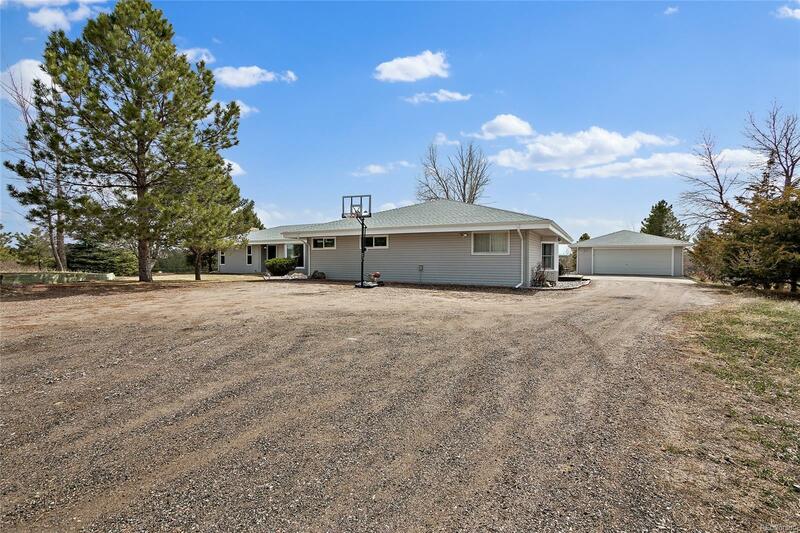 2.5 acres of privacy with an oversized detached garage, chicken coop and goat pen. This home features an open and bright floorplan. Move in ready with new paint and carpet. Hardwood floors! Large kitchen with black appliances. Remodeled five piece master bath! Enclosed rear porch plus unfinished basement. Mature lot with plenty of trees. Easy access to Parker and 470. Award winning Douglas County Schools!